Server 14 no more use of diamond? im in server 14 as well and its fine sometimes they will give us better deals so its all good just wait. Diamond deals still exist. There was a lot of it last month. The thing is the first cash deal on server 14 took place right after the update. And there are only cash deals since then. My guildmates are becoming angry about that, cause diamonds are not so useful anymore. There are small hero chips deal. Like maybe 10 or 20 chips. That’s the best deal recently since the update. I’ve seen a 160 Yax chip deal yesterday, yet it was very expensive. And that’s the problem now, less items, for the same price. Last week I bought 85 stamina items for 600 gems, today the game offers me 15 stamina for 400 gems. Stop forcing people to pay PerBlue money for items that can be acquired via offers from Fyber Tapjoy and doing surveys. Server 2 - same situation. Sometimes having diamond deal but not good offer. 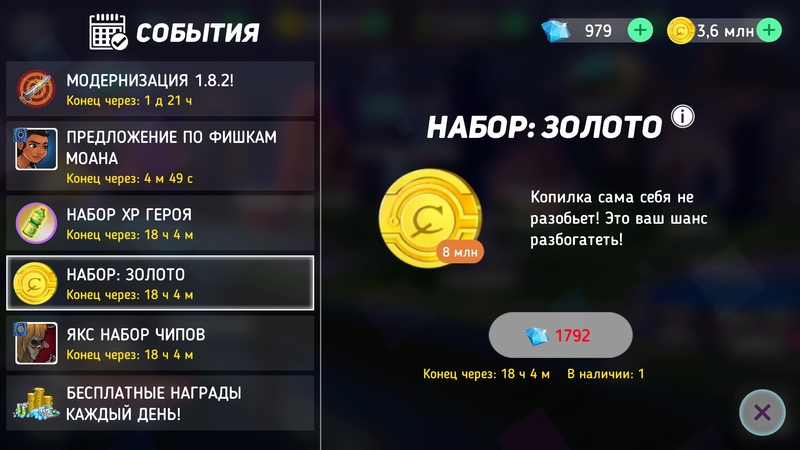 Totally seem PB gives no more chances for F2P, who survive by gems can catch up and force them to be P2P if want to continue. Of course, It is PB business and they will develope game for their benefit - first priority. So it is nothing to complain about their business strategy. F2P Just choose keep going or quit. That’s all. Well, you can survive without paying. If you maximize the use of your resources, you can be as competitive as the ones who pay. Normally 4 times a day cash offers and only 1 diamond offer per day.